Dharam Devdutt Pishorimal Anand was an actor, director, writer and producer in the Indian film industry. He was the evergreen hero of Bollywood and was called Dev Saab by his admirers. He was the co founder of the Navketan Films along with his brother Chetan Anand. Dev Anand played the lead actor for more than 5 decades in over 110 motion pictures. He gave a new dimension to the magical world of cinema and achieved stardom as soon as he stepped into the industry. He has directed 19 films and produced a total of 35 films in his career span. He was a style statement in his era and was lovingly quoted as the Gregory Peck of India. He was one of the trios formed by the superhit Dilip Kumar, Raj Kapoor and Dev Anand himself. Dev Anand was honored with the Padma Bhushan by the Government of India in 2001. He was the recipient of the Dadasaheb Phalke Award in 2002 for his contribution to Indian cinema. Dev Anand breathed his last following a cardiac arrest on December 3, 2011 in London at the age of 88 years. He died months after his last film “Chargesheet” was released. Dharam Dev Pishorimal Anand or Dev Anand was born on September 26, 1923 in Gurdaspur district of Punjab. He was the third son of his advocate father Pishori Lal Anand. His brothers Chetan Anand and Vijay Anand were very successful in the film industry. While his younger sister Sheela Kanta became a proud mother of the director, actor and producer- Shekhar Kapur. Dev finished his matriculation from Sacred Heart School in the then Punjab (before partition) and completed his graduation in English literature from the Government College, Lahore. Dev Anand reached Bombay in the early 1940s and started working in the military censor's office. His first salary was a mere 165 rupees. He further worked as a clerk and was paid Rs 85 in an accountancy firm. Meanwhile, he joined the IPTA (Indian People's Theatre Association) with the help of his brother Chetan. Dev was inspired by Ashok Kumar's performance in Acchut Kanya and Kismat and dreamt of becoming a performer. He once gatecrashed into Prabhat Film Studios where he was spotted by Babu Rao Pai who gave him his first break in the film industry. Dev Anand was introduced in Hum Ek Hain opposite to Kamala Kotnis in the year 1946. It was during the shoot of this movie that he met Guru Dutt where they promised each other to be there for the other in case one makes it to the industry successfully. In the late 1940s, Dev grabbed a few roles opposite Suraiya who was a very established actress of her time. The duo appeared in many films like Shair, Vidya, Afsar, Sanam, Nili, Do Sitare and Jeet. 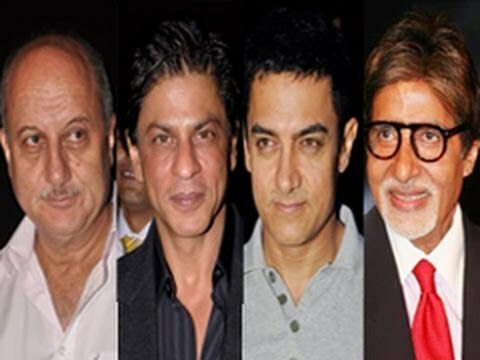 During the shooting of a song in the movie Vidya, the boat in which they were overturned and Dev rescued Suraiya after which she fell head over heels for this rising star and their affair began. It was a starry affair in the media which finally made Dev propose to Suraiya with a 3000 rupees diamond ring. Though their love was at peak, Dev's grandmother opposed the relationship since the girl belonged to a Muslim family. Do Sitare became their final movie together after which, the couple separated and Suraiya remained unmarried. Since Suraiya stole the limelight in all the movies the duo did together, Dev began searching for lead roles to show his acting abilities and change the notion of the audience. 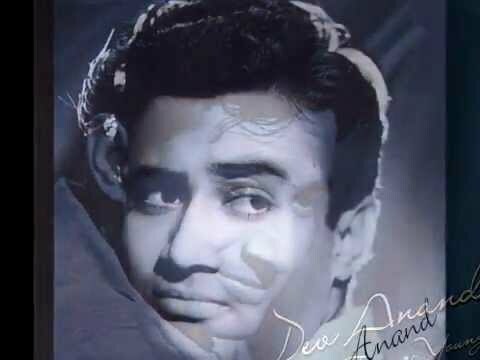 In was Ashok Kumar who spotted Dev in a studio when he decided to offer him a lead role in a Bombay Talkies Production. Ziddi became an instant hit and also marked the beginning of the Kishore-Lata duet magic with 'Yeh Kaun Aaya Karke'. This association of Kishore, Lata and Dev extended for the next 4 decades. Ziddi also glued Kishore Kumar's voice as the playback voice for Dev Anand's song. Dev later shifted to production and launched Navketan Films which produced a total of 35 films till 2011. Baazi starring Kalpana Kartik, Geeta Bali and Dev himself was directed by Guru Dutt. This movie became a trendsetter in the genre of urban crime films. Subsequently, Kalpana and Dev signed many films together such as Nau Do Gyarah, Aandhiyan and many more. Dev proposed to Kalpana when the movie Taxi Driver was still under work. Kalpana bid goodbye to the industry with this movie and decided not to pursue her career further. He married co star Kalpana Kartik and was blessed with a son Suneil Anand and daughter Devina. In the 50's Dev focused on movies with social message, mystery and light comedy love stories. Till the mid 60s, Dev worked with the legendary Waheeda Rehman, Dilip Kumar, Nutan and Raj Kapoor. From thereafter, he portrayed the image of a romantic lover with movies like Tere Ghar Ke Samne, Teen Deviyan and Manzil. Dev Anand’s first colour film was “Guide” directed by his brother Vijay Anand and was based on R.K.Narayana's book by the same name. Dev even convinced his Hollywood connections to start an Indo-US co-production to release the movie in Hindi as well as English. The film was a box office hit and still remains one of the classic films of his career. Vijay Anand and Dev went on to make Jewel Theif and Johny Mera Naam, which again were superhit blockbusters of that time. In the 6th Moscow International Film Festival, Dev was invited to be a member of the jury. According to the critiques his directorial ventures were ahead of times. He debuted as a director with the cult film “Prem Pujari” which didn't do much good at the box office but with later years, emerged as an iconic effort on his part. Equally sensationalizing was Hare Rama Hare Krishna. After which he worked in topical Mumtaz and Gambler. In Dharam Karam and Kal Aaj Aur Kal, Dev Anand played the role of a father. In late 70s, Dev Anand actively protested against the emergency imposed by Indira Gandhi. His son Suneil Anand made his debut with Kramer vs. Kramer which sadly was a huge flop. Suneil Anand decided to quit the film industry with that response. 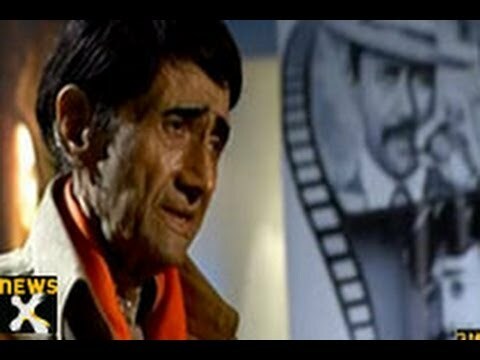 Dev Anand acted in two Hollywood movies one of which was the English version of Guide, while the other one was The Evil Within. Anand played the lead actor for more than 5 decades in over 110 motion pictures. He has directed 19 films and produced 35 films. He wrote the stories for 13 of his films. His acting skills ranged from acting for crime thrillers, light comedy, tragedy, negative shade, mystery genre, romantic, and films with social relevance etc. He was a style statement in the era he ruled. He was dubbed the Gregory Peck of India who could make girls swoon. Dev Anand was noted for making romance wit his heroines in the films. His style of romance was adorned with charm and elegance. The songs of the films starring Dev Anand were superhits. 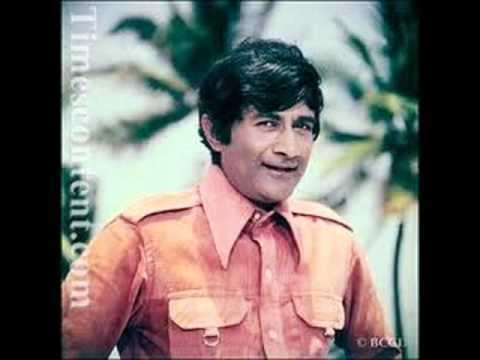 His songs “Abhi na jao chhodkar”, “Dil ka bhawar kare pukar”, “jab pyar kisi se hota he”, “tere mere sapne”, “aaj fir jine ki tammana he”, “mana hujur ne pukara nahi”, “chor do achal”, “panna ki tammana” are still hummed by the generation. Dev Anand’s movies attained the repute of classics. Some of his finest movies are “Ziddi”, “Baazi”, “Taxi driver”, “House no 44”, “Nau do gyrah”, “Munimji”, “Funtoosh”, “CID”, “Paying guest”, “Kala pani”, “Kala bazar”, “Bombai ka babu”, “Tere Ghar ke samne”, “Kinare kinare”, “Maya”, “Jab pyar kisi se hota he”, “Teen Deviya” “Guide”,” Jewel Thief”, “Johny mera naam”, “Prem Pujari”, “Hare rama hare krishna”,“Tere mere sapne”, “Heera panna”, “Hum dono”, “Baat ek raat ki” et al. In September 2007 his own autobiography “Romancing with Life” was released. Dev Anand was honored the Padma Bhushan and Dadasaheb Phalke Award in 2001 and 2002 respectively for his contribution to the Indian cinema. He was also awarded the Phalke Ratna Award by Dadasaheb Phalke Academy. For the film “Kala Pani” and “Guide” he won Filmfare Awards in Best Actor category. His movie “Guide” was awarded the best film in the Filmfare Awards. In 1991, he won the Filmfare Lifetime Achievement Award. In 2004 he was awarded the Legend of Indian Cinema Award at Atlantic City (US). In 2006 he was awarded the Glory of India Award by IIAF, London. Dev Anand breathed his last at the age of 88 in The Washington Mayfair Hotel of London. He had suffered a cardiac arrest. The last film of his career was Chargesheet. Fans from around the world started pouring wishes for the man who always had a positive approach towards life. His last rites were performed in the Putney Vale Crematorium of London and the ashes were returned to India. Shabana Azmi: Dev Saheb robustly lived life on his own terms. He will be missed by millions but will live on thru his movies.I salute his spirit. Madhuri Dixit: Sad to hear about Dev Anand's demise. Another icon leaves the stage. My condolences to his family. We will miss him. Abhishek Bachchan: Shocked to read of the passing of Dev Saab. Such a great man and actor. A symbol of positivity.Never believed I would ever wake up to this news. Very sad! Mahesh Bhatt: "Dev Anand is dead". As the new dawn breaks over Mumbai I salute the memory of this star who has left left us with the glow of his smile. Shah Rukh Khan: Dev sahib's sad demise makes me feel that the film industry is incomplete & has lost its magical energy. May Allah bless his soul. Sonam Kapoor: Watching devsaabs songs with my dad was my bonding time with him. He is my fathers favourite actor. Dia Mirza: "Rest In Peace Dev Saab... Your chivalry, charm, optimism and your great body of work will never be forgotten." A man is not dead while his name is still spoken?